Hey y’all! I’m back, and I survived! 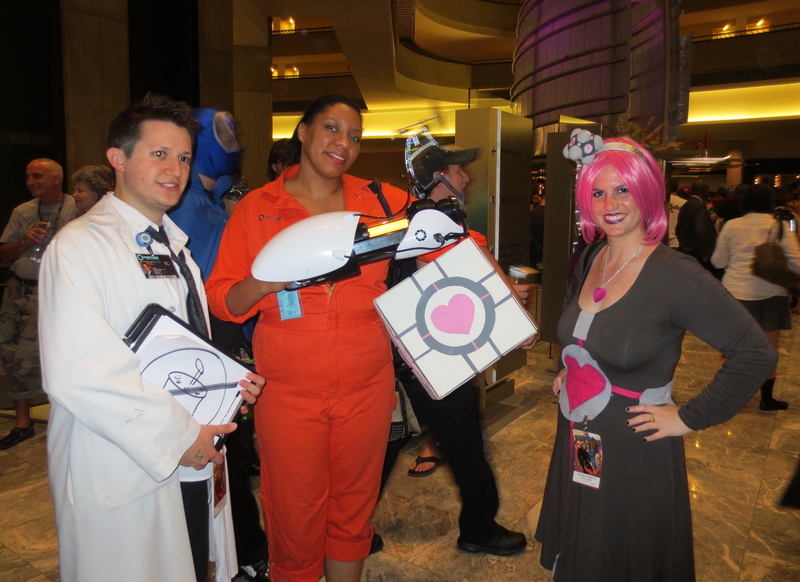 Dragon*Con, of course, was super duper fun. I wore three rockin’ costumes and met lots of great people and did lots of fun things and had lots of kickin’ times. 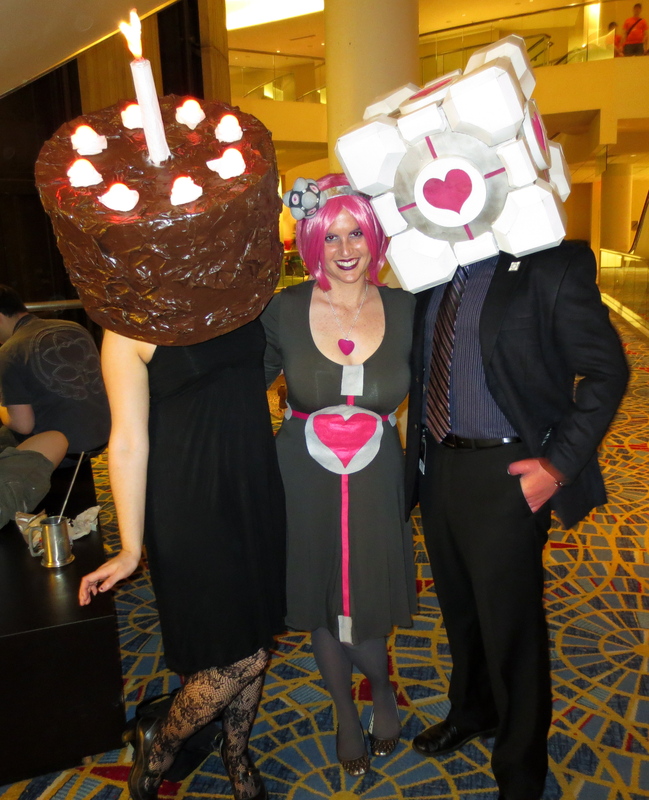 And, of course, I took a ton of photos of amazing people in their amazing costumes! Jon and I got back yesterday evening and I careened right back into work today. In case y’all forgot (or didn’t know), I am helping to plan CenterFest, a giant arts festival coordinated by the Durham Arts Council, where I work. 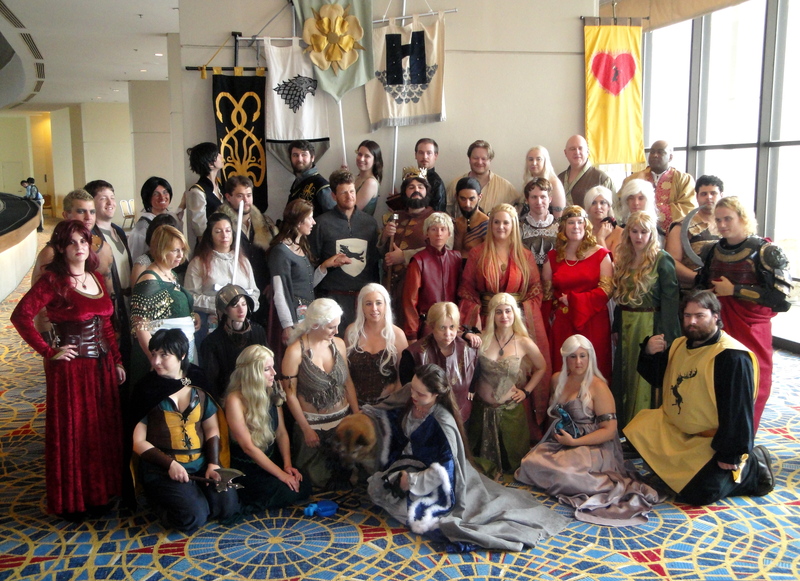 I hope to start getting my Dragon*Con recaps up soon, but CenterFest planning is so exhausting and work is so stressful right now that when I get home I can barely form a coherent thought. Also, I am traveling A LOT this month for weddings (EVERYONE IS GETTING MARRIED) and also the High Holidays. 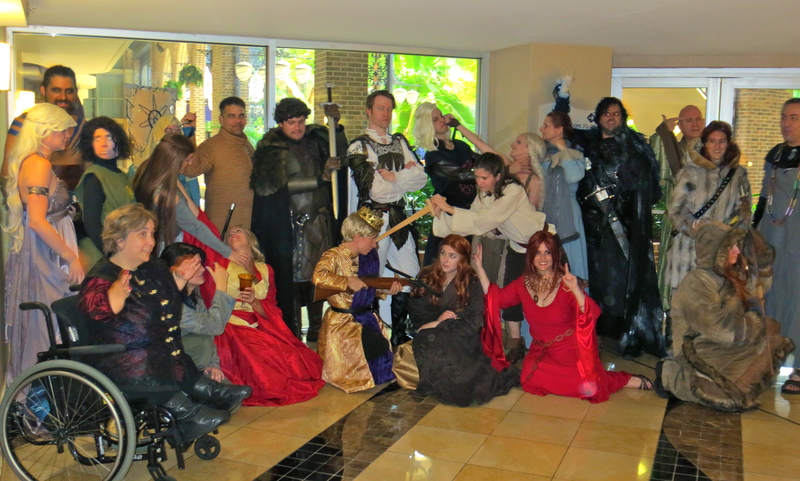 So, it might be a little bit before I fully recap Dragon*Con, because there is a lot to tell! In the meantime, a few photos to whet your appetite! Fun right! Hope y’all had a great Labor Day as well, I look forward to sharing my Dragon*Con with you! No more days! No more days! I’m packed (hopefully!) and I am likely on my way to Dragon*Con now (okay, soon, I decided to sleep in just a little bit)! And that is the best! 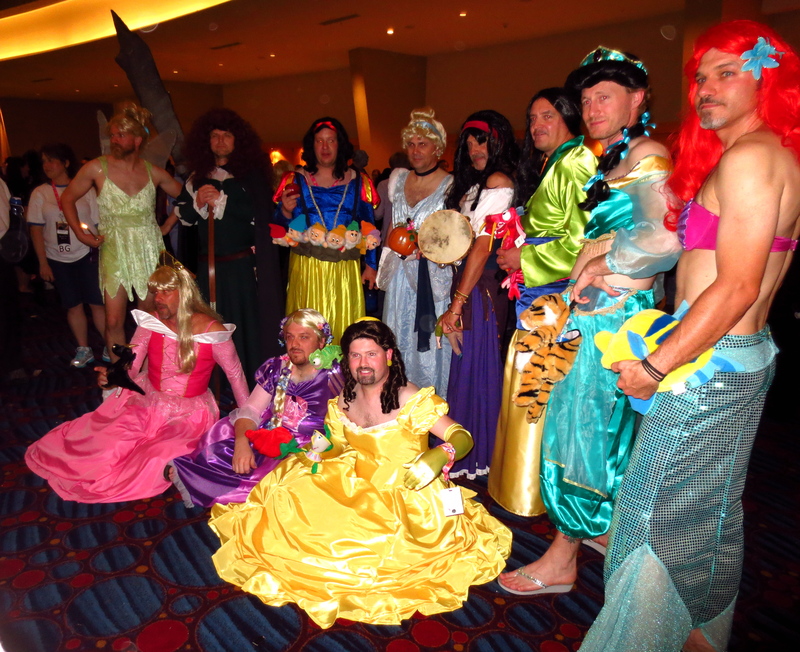 I’m so looking forward to a wonderful Con this year. I have some fun photo shoots with Game of Thrones folks lined up, I have lots of cool “I want to do that” panels entered into my mobile app, I love, love, love my new Melisandre costume, and I’m looking forward to meeting some internet friends in person and being like “YAY FRIENDS.” In case you can’t tell, I like me some friends. Yeah, it’ll be like that except my costume is more awesome. So, I hope to see you there! I’ll pop back onto the blog sometime after Con to give the run down and to show y’all some pictures. In the meantime, thank you so much for accompanying me on this iteration of the 50 Days to Dragon*Con countdown! 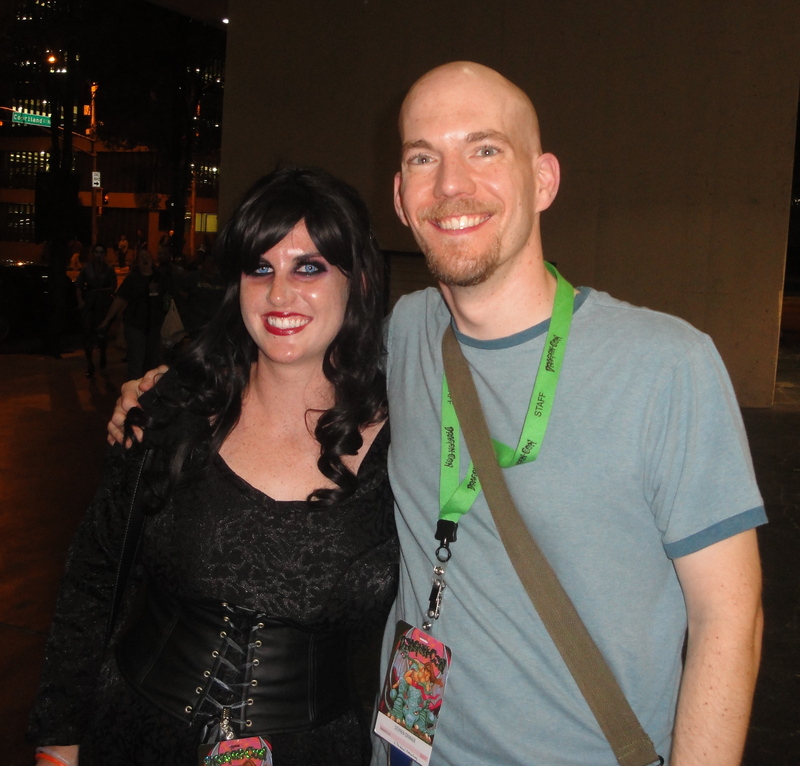 I hope you had as much fun reading as I had writing, and that it helped to get you even more excited for Dragon*Con! 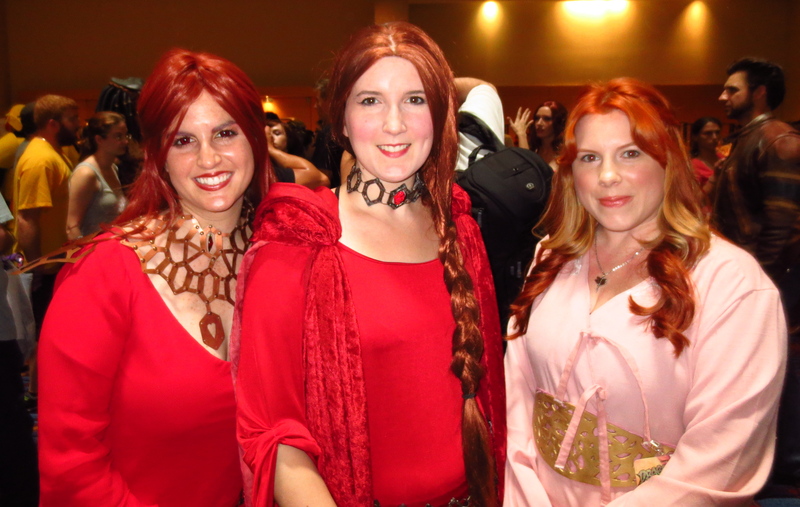 1 Day to Dragon*Con: A Melisandre Sneak Peek and More! 1 DAY GUYS. CAN YOU BELIEVE IT?!?! Time for a miscellaneous post of miscellany. 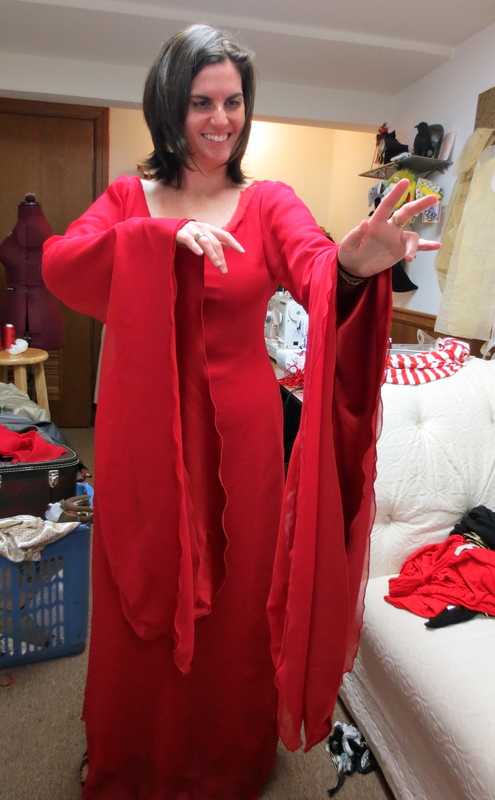 1) The Melisandre dress is ALMOST DONE. 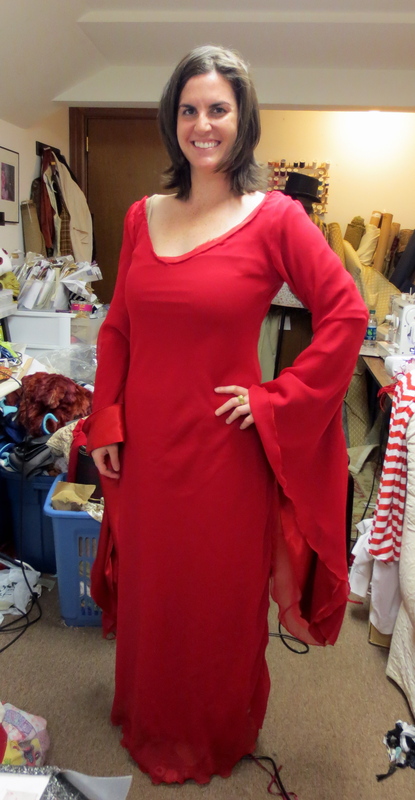 The neckline just needs to be hand-stitched, but I was able to get a shot of it almost completed today. It is SO BEAUTIFUL , I cannot WAIT to show it off at Con, and I cannot wait to put it on with the wig and the necklace and the belt. Seriously, so beautiful. Yeah look at those sleeves, amazing right?! 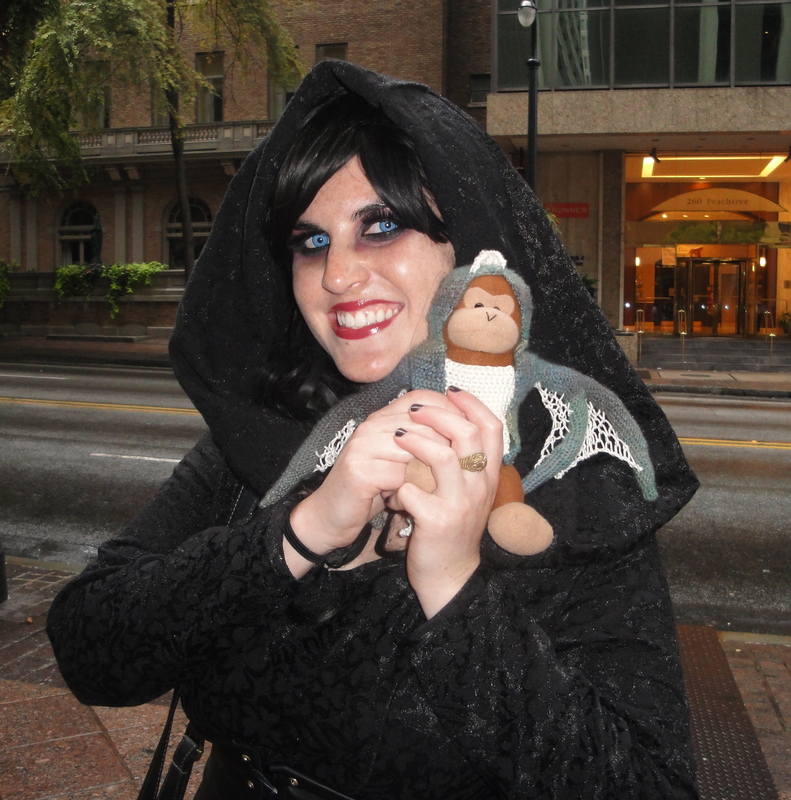 2) If you want to be my Friend via the Dragon*Con app (and I love friends!!!) just let me know, and I’ll PM you a Friend Code, and we’ll all be friends, and it will be great. You can also follow me on Twitter, @Dilettantista, if you are social media-ish like that. 3) And now a series of video clips that make me happy. Many of these were included in the 2010 Dragon*Con Countdown but I don’t care, these re classics for a reason. And yes, many of these have a Star Trek tinge, so what? Unngh isn’t it a bummer that Patrick Stewart isn’t coming? Whatevs, I’ll just reread how I talked to him at Dragon*Con 2009. 4) Last night I had a dream that I was eating lunch at Dragon*Con and Stan Lee sat with me, and he had a little fat dachshund mix named Alex with him, and in the corner someone was doing a Captain American — Melisandre multi-fandom costume, and it was all very perplexing and amazing and clearly my brain is very one track right now. 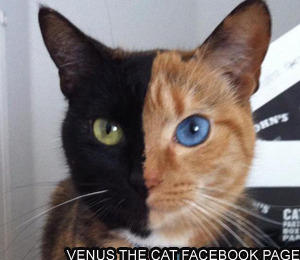 5) And then I just turned on The Today Show (like I usually do) and the ADORABLE two-face kitty was on, clearly it is a sign!!! All right, back to work for me guys! I have costumes to finish and packing to do and so many preparations to make! And I’m also looking forward to making tons of new memories! Cheeeeeesy right?! All right everyone, hang in there, one more dawn, one more day, one day more! How are you doing with the wait, guys? This whole going to work thing is not easy, especially because I have a number of major deadlines at work this week and I need to get them all done by Wednesday, so I am incredibly busy and really, I just want to look at Dragon*Con stuff and think about Dragon*Con and talk about Dragon*Con. 1) This blog (duh). Having a place to count the days is certainly helpful! 2) Big giant happy smiley faces scrawled all over Labor Day Weekend on my calendar. 3) Playing with the Dragon*Con iPhone app, lots and lots. 4) Eyeing the 2012 Dragon*Con photo scavenger hunt list and trying to figure out where to find all these things–my two big person win photographs from last year were running into Dr. Stephen Granade and finding Timmy the ThinkGeek Monkey. 7) Listening to this podcast on repeat. So many bands that I liked from my band profling are in it! Calabrese! Ego Likeness! I: Scintilla! Die Sektor! Cruxshadows! A really good song by The Extraordinary Contraptions! So exciting, and a great way to get hyped for Con! 9) Futzing with the last little bits of my costumes and my wigs and my makeup and my accessories. 10) Excitedly waiting to go pick up my Melisandre dress! Again, those are just a few things that are keeping me sane until Thursday morning comes and I can get on the road to Atlanta. 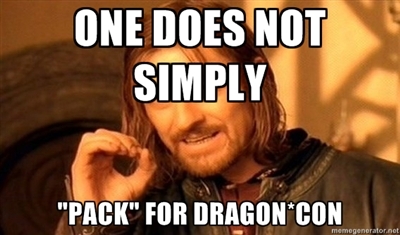 How are you managing these last few days before Dragon*Con?